Smarter Balanced Teacher: Currently on Springpad! O! My! Goodness! It's August. What about June? Where did July go? Did I really just leave two days of In-service training? Do I REALLY have 13 days of summer left????? Apparently. 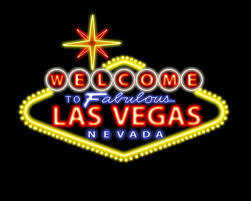 Well, then, after meeting up with some Carolina Bloggers in GreenVegas, I just think I'll head right to Las Vegas! That's right. If ya got 13 days left, spend 'em right! Just a little perk of being married to a merchandising director (those are the people who tell other people what to buy for companies to sell)...we go to the ASD show for FREE in August. Love it! What was that about GreenVegas? Check out my new fab find online. It's right over there under the links to Pinterest, Facebook, TPT, and Instagram. It's Springpad! I am in LOVE with it...it's like Pinterest with a calendar built in. You can create events, like the Carolina Blogger Meet-Up in Greenville, SC (AKA GreenVegas), save photos, links, events, etc., and make it all into a pretty little notebook. Then you can share your notebooks with anyone, or no one, and they're like digital scrapbooks, too, after the event. Check it out! Super easy to use, free, and fun...https://springpad.com/about. Just a few login steps, then grab yourself a Springpad Clipper (like a Pin It Button) and start saving anything you find or create in your own notebooks. I am with you! I have no idea where the time has gone! I am excited to check out springpad- thanks for sharing! I think you'll love Springpad! Have a great year! Thanks for sharing! I found you on the August Currently! You have a cute blog and I love the fonts you used in your Currently. I will have to check that app out! Hey, Layla! I will have to check out yourblogright away...thanks for your compliments! Thanks for setting up Springpad for all of us to share pictures from the meet-up! Such a fun time :) Added you on Bloglovin'! Thanks, Lauren! It was really fun. I need together over to your blog, from the pool at the Mirage!